Baluchistan government dissolved the committee which was assigned the responsibility of probing of Saulat Mirza’s death- cell video. Baluchistan government dissolved the investigation committee by saying that there is no need of such committee after issuance of Saulat Mirza’s new death warrants. Anti Terrorism Court issued new death warrants of notorious prisoner Saulat Mirza and 1st April is his fresh execution date. 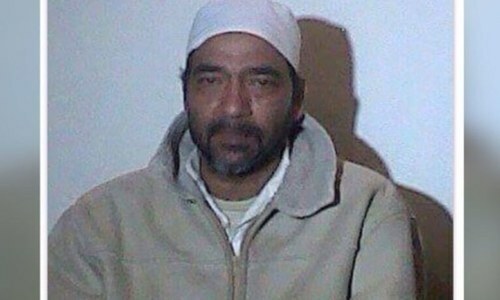 Saulat Mirza’s video created buzz in Pakistani politics as he revealed the names of many MQM leaders and claimed he got direct orders from MQM leader Babar Ghauri to kill the KESC chief Shahid Hamid. He told in video that Babar Ghauri called him at his home and they talked to Altaf Hussain via telephone call as Altaf Hussain used to pass instructions through Babar Ghauri. On unrevealing many secrets and assuring about some more, Saulat Mirza asked authorities to give him some time. So, his execution was postponed for 72 hours through a presidential order. However, his video has changed the whole political scenario of the country. The orders of investigation were given by Baluchistan Home Minister Sarfraz Bugti and he formed a committee under the supervision of Inspector General Prisons Bashir Bangulzai.